Definition at line 26 of file cert_validate_message.h. Definition at line 31 of file cert_validate_message.h. Referenced by Ssl::CertValidationMsg::composeRequest(), and Security::PeerConnector::sslFinalized(). Definition at line 30 of file cert_validate_message.h. Definition at line 29 of file cert_validate_message.h. 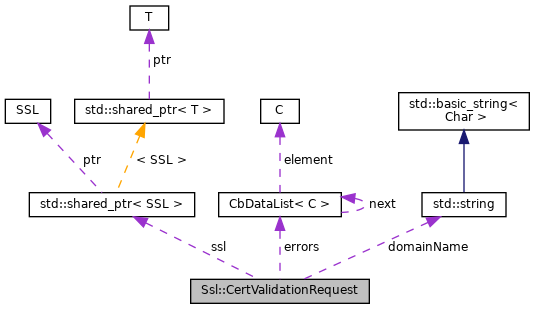 Referenced by Ssl::CertValidationMsg::composeRequest(), Security::PeerConnector::sslFinalized(), and Ssl::CertValidationHelper::Submit().